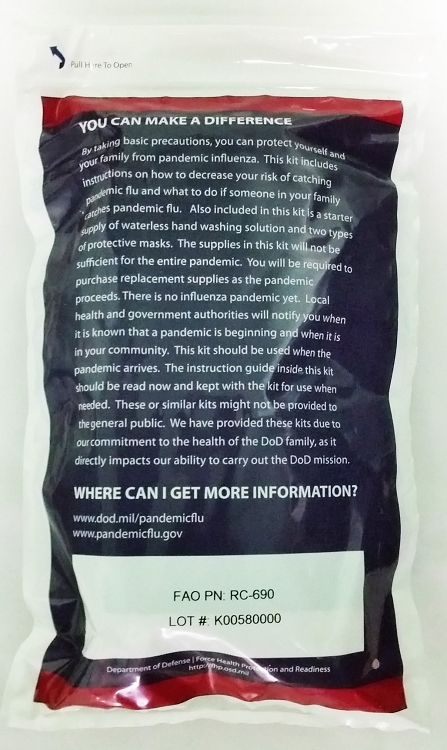 Be prepared and protect yourself and your family. 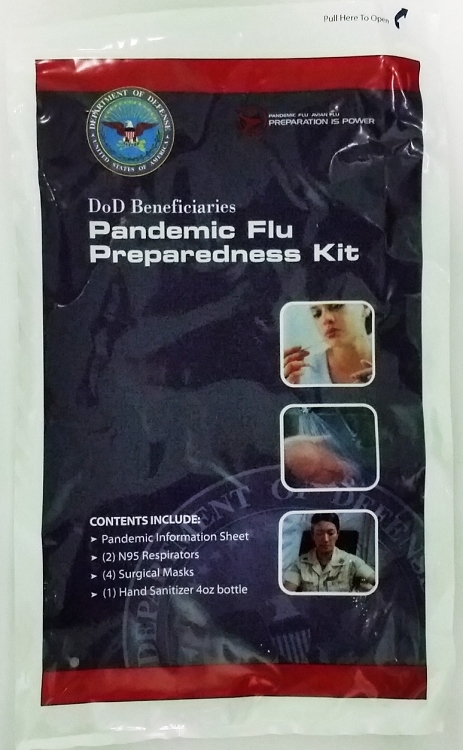 The supplies in this kit will help you decrease your risk of catching flu and other airborne illnesses. 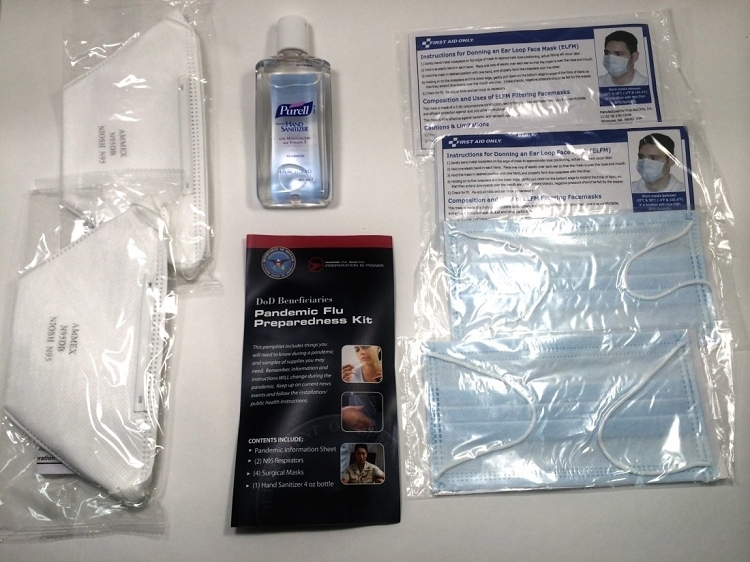 Kit Includes: Pandemic Information Sheet, (2) N95 Respirators, (4) Surgical Masks, and (1) 4 oz. bottle Hand Sanitizer.